This year's Christmas Selling Exhibition opens on Saturday 29th November and runs until Saturday 13th December. As usual it takes place at the shop in Yoxford and to date I have over seventy pieces of early furniture and works of art put away for it, many garnered from private collections. Whilst oak is the mainstay, other woods are well represented including burr elm, walnut, fruitwood and yew wood. 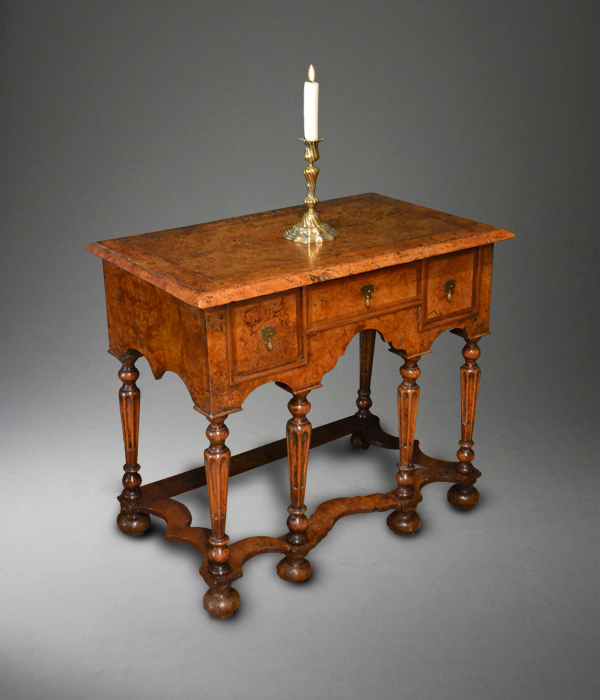 For example there is a stunning Queen Anne burr elm lowboy illustrated here (SOLD), a William and Mary yew wood chest of drawers with lovely colour (SOLD), a charming fruitwood candlestand (SOLD), an oyster veneered cushion framed mirror (SOLD), a walnut kneehole desk (SOLD)and also in walnut a very rare pair of James II upholstered stools (SOLD), ex Percival Griffiths Collection and illustrated in the books. 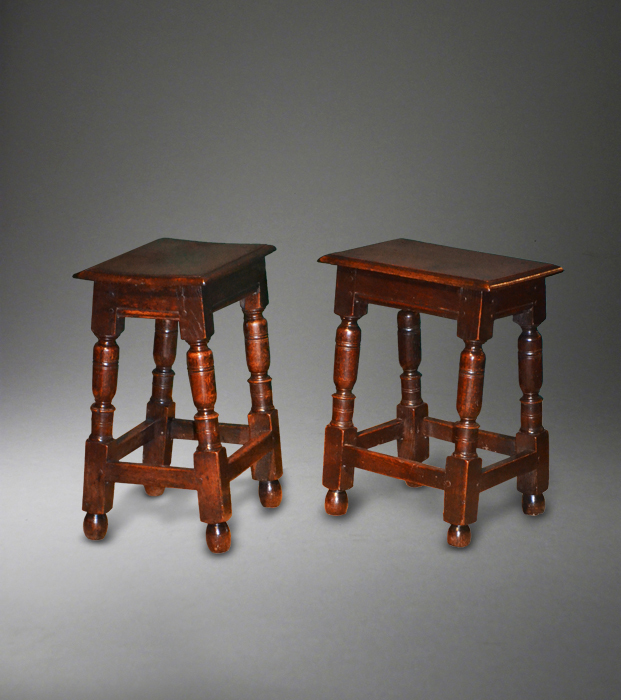 In oak there is another rare pair of stools, in this instance mid 17th century joint stools (illustrated here), three wainscot chairs including one finely carved late Elizabethan dated example (SOLD), an unusual buffet of the same period (SOLD) and a Charles I trestle table, one of three large refectory tables in the exhibition. The works of art section is strong on carvings including a very rare mid 15th century Suffolk roof angel in the form of a musician (SOLD), some interesting metalwork and ceramics including a very large pair of delft vases (SOLD) and a charming 17th century silkwork depicting The Expulsion of Hagar and Ishmael.